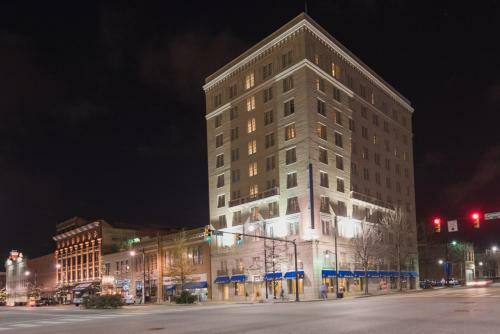 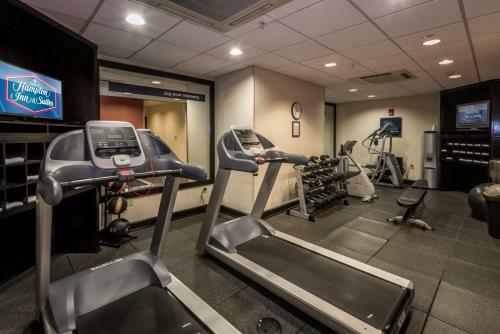 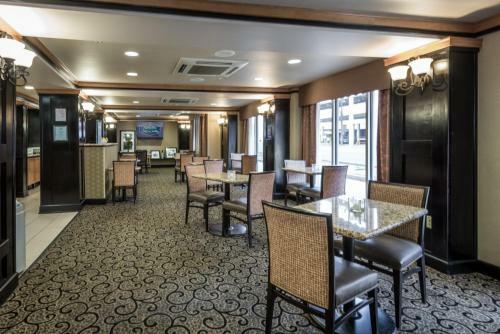 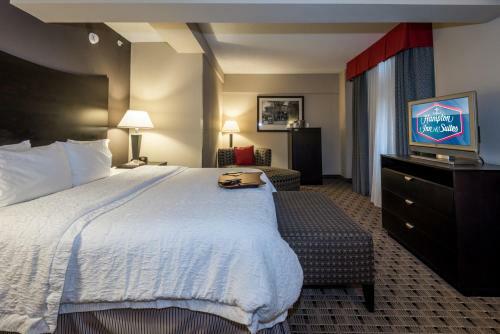 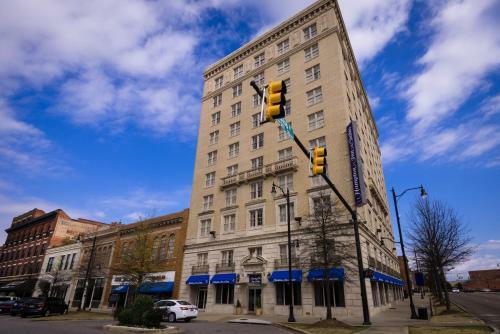 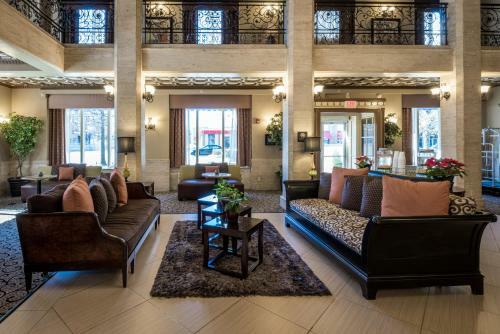 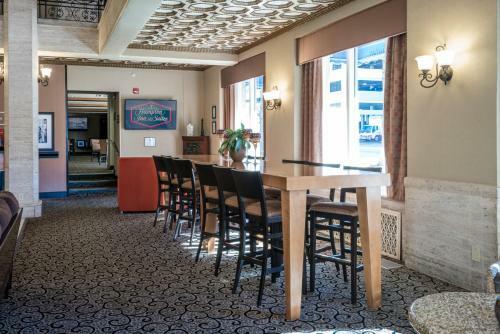 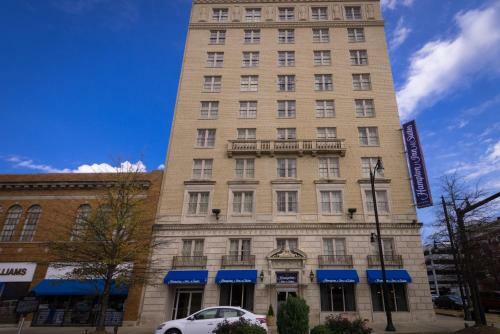 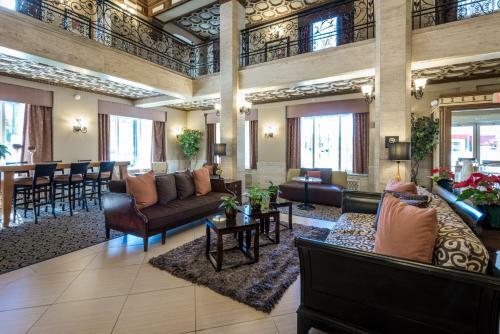 This Montgomery, Alabama hotel features a gym and rooms provide free Wi-Fi and cable TV with pay-per-view movies. 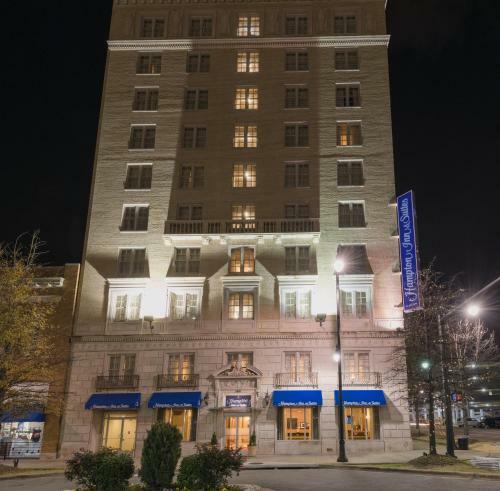 The Civil Rights Memorial is one mile away. 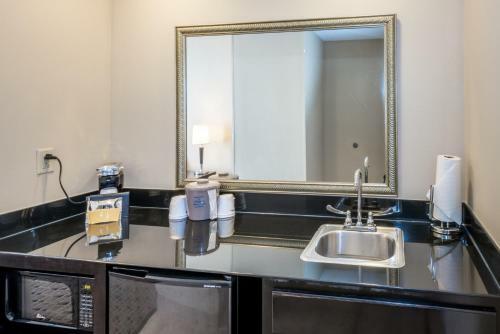 Each room at the Hampton Inn & Suites Montgomery-Downtown contains a refrigerator and a coffee maker. 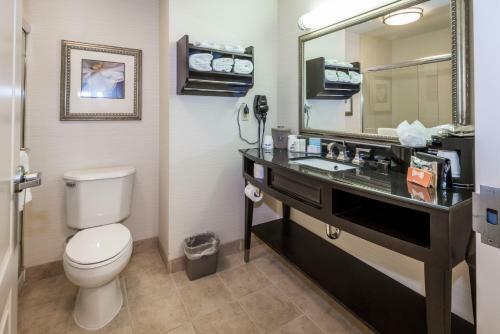 The rooms are also furnished with a hairdryer, ironing facilities and a work desk. 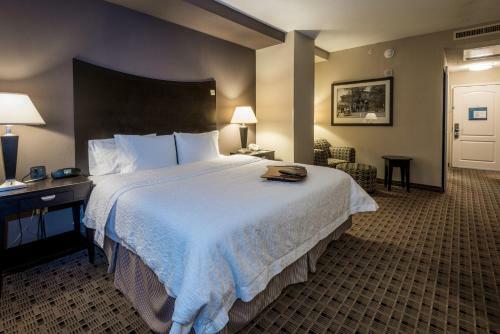 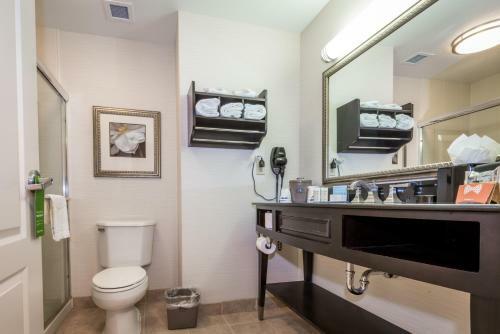 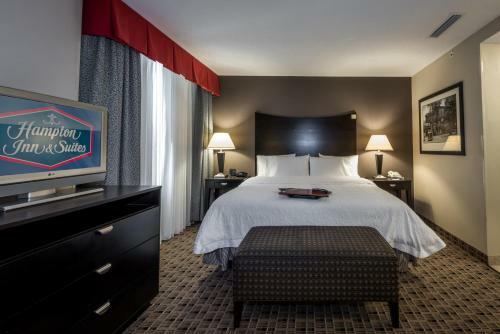 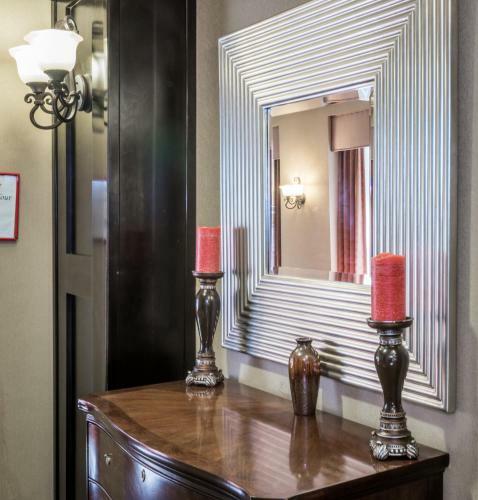 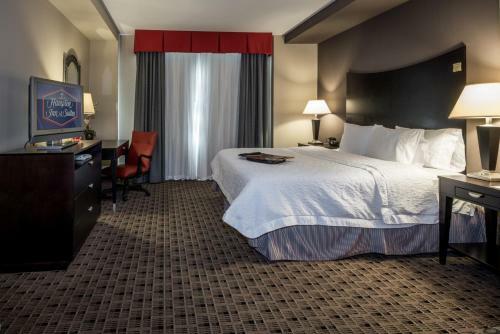 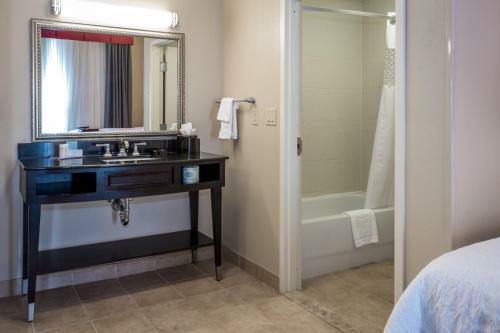 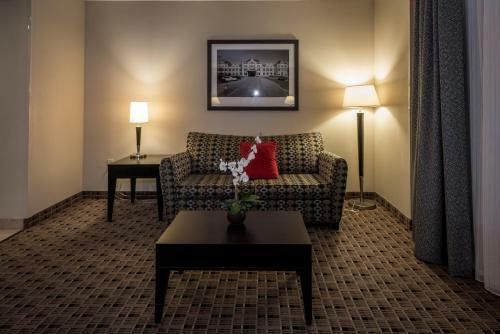 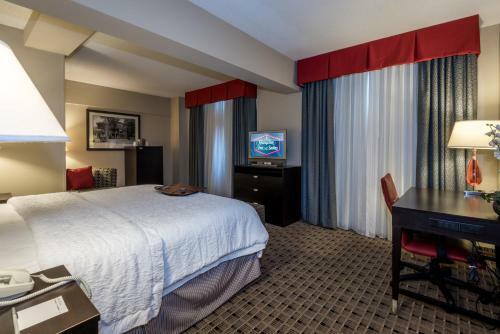 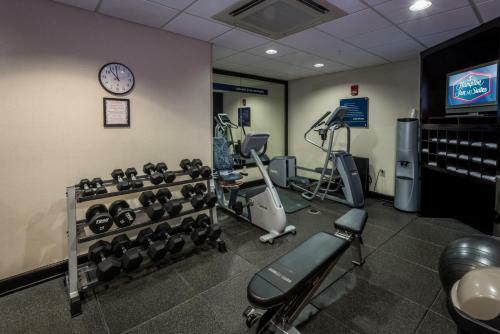 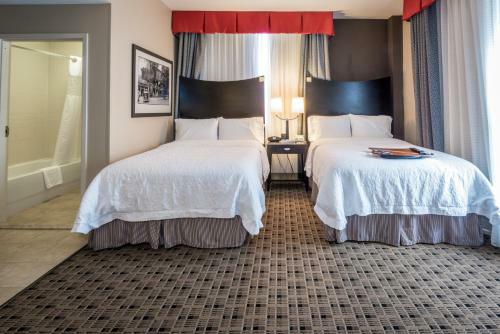 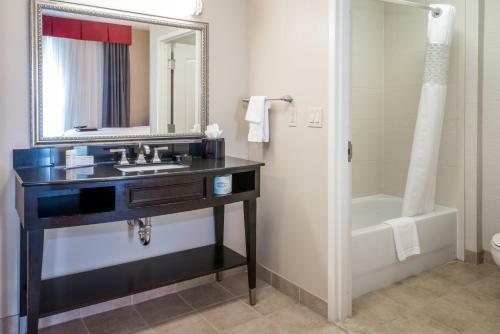 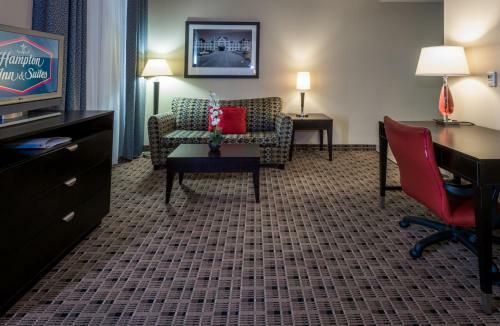 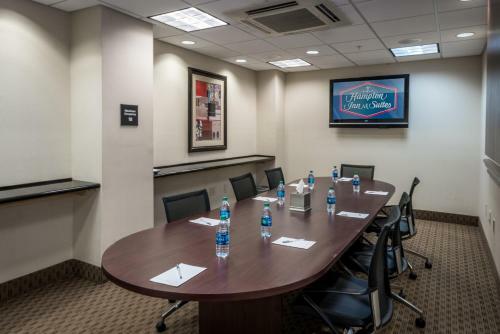 Montgomery Hampton Inn & Suites includes a business center and laundry facilities. 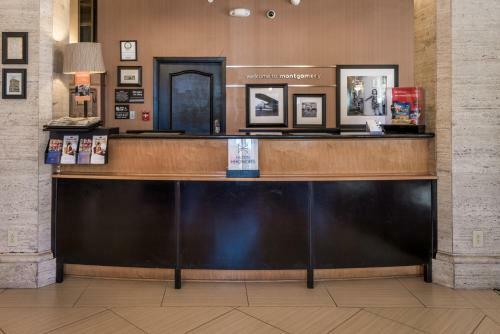 The hotel offers a 24 hour front desk as well. 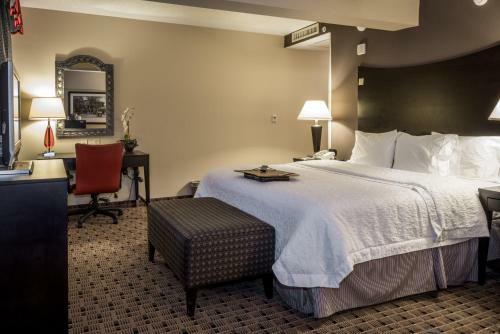 Fort Toulouse-Jackson Park, home to a reconstructed 1700s French fort, is 18 miles from the Hampton Inn & Suites Montgomery. 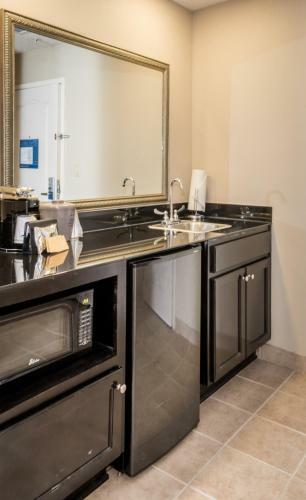 Montgomery Zoo is 5 miles away. 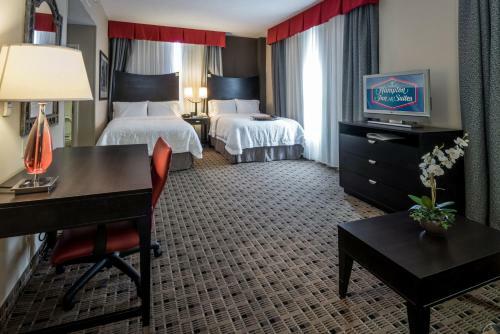 the hotel Hampton Inn & Suites Montgomery-Downtown so we can give you detailed rates for the rooms in the desired period.